When you are listed on one of the Euronext Regulated Markets, you not only access a secured market with state-of-the-art technology and a vast pool of liquidity, you also benefit at all times from the assistance of expert advisors. As part of an ongoing effort to develop tools and services for issuers, Euronext has rolled out ExpertLine, an information and communication platform run by experts in market techniques and finance. Euronext is the first international stock exchange to provide such a communication platform fully dedicated to companies listed on its markets. Guides and assists you with all your operations (listing and trading requirements). ExpertLine is available for all market segments; the Euronext European Regulated Markets as well as the Euronext Growth markets every day before, during and after the trading session between 08.45 and 18.00 CET. 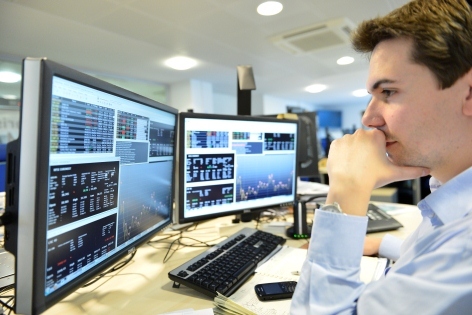 A multidisciplinary team of specialists with complementary skills is based in the centralized European market surveillance room, amid breaking financial news, with its finger on the pulse of trading. In addition to supplying real-time information on events that may affect your share price, the team answers your queries, provides trading guidance and presents the services available on Connect, the dedicated website for listed companies. ExpertLine has been available since November 2009 to French issuers, and bolstered by its great success in that community, the services it offers were deployed in April, August and September 2010 respectively to Belgian, Dutch and Portuguese issuers, with equal success and finally to International issuers listed the Euronext markets in March 2011. ExpertLine is continuously innovating and diversifying its services through ongoing interaction with the European financial eco-system. ExpertLine is available for all market segments on the Euronext Regulated Markets and on the Euronext Growth markets and is accessible daily before, during and after the trading session between 08:45 and 18:00 CET.